Michael Lane has been found guilty of the murder of Mile Oak teenager Shana Grice. Lane, 27, of Thornhill Rise, was convicted at Lewes Crown Court this afternoon (March 22), and is set to be sentenced tomorrow (March 23). Shana Grice, 19, was killed at her home on Chrisdory Road, Mile Oak, on August 25 last year. Lane’s trial started on Tuesday, March 7, and Sussex Police said the jury heard about Shana and Lane’s relationship and his stalking and obsessive behaviour which led to him killing her. Detective Chief Inspector Gordon Denslow said: “This was a shocking and brutal crime and, on behalf of the Sussex Police and our family liaison officers, our thoughts are with Shana’s family. “Our investigation found that Michael Lane had become obsessed with Shana and that their relationship was a complex one. “By Tuesday 23 August, Shana had decided she wanted to be with her boyfriend and not Lane. She met Lane and they agreed to go their separate ways. However, this ended in tragedy. “Two days later, Lane went to Shana’s address early in the morning at a time when he knew she would be alone in the house. He killed Shana by cutting her throat. He left straight away to provide himself with an alibi and stole money from Shana’s bank account. He then returned to the address to set light to Shana’s room in an attempt to destroy evidence of his crime. “After his arrest, Lane repeatedly denied going to Shana’s home on the morning of her murder. 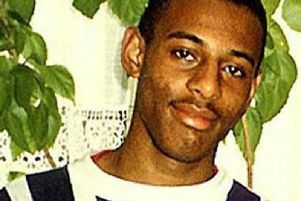 However, in the face of mounting evidence suggesting otherwise, presented to him during hours of police interviews, he eventually admitted that he had been there, claiming that after finding Shana already dead, he panicked and left without telling a soul about what he had seen.